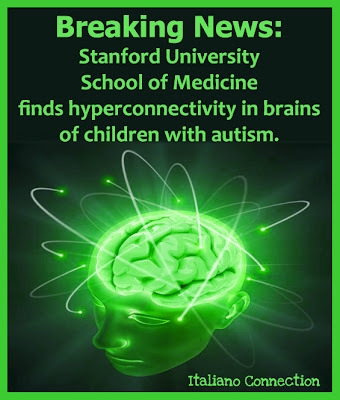 Autism Study Finds Hyperconnectivity in Neural Network - Fibromyalgia Study Finds Excessive Sensory Nerve Fibers - Connection? Whoa! 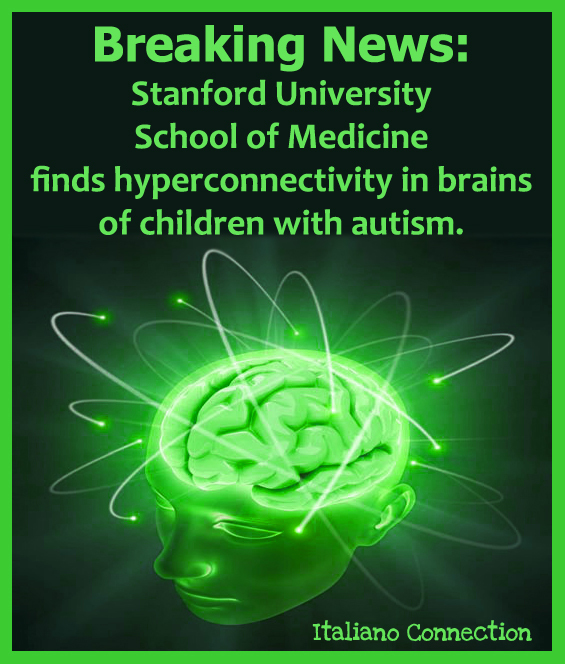 Stanford just released a study that finds hyperconnectivity in brains of children with autism. 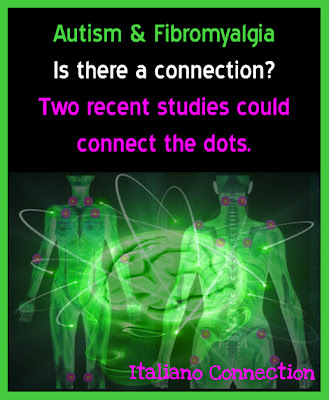 Another study recently showed that people with Fibromyalgia have excessive sensory nerve fibers? Is there a connection here? I am not alone as the mother of a child with autism who deals with her own issues such as an auto-immune disorder and/or ADHD. As some of you know, through research I came to the conclusion that my fibromyalgia problems most likely stem from phosphoric acid found in soda pop, along with other toxins found in processed foods, artificial sweeteners, etc. Refusing pharmaceuticals to deal with my pain, I was determined to find a solution. Trial and error and much research convinced me about 12 years ago to try magnesium and my fibromyalgia went into remission. I was also eating unrefined and low glycemic index foods. "Hyperconnected systems in the brains of children with autism included the salience, default mode, fronto-temporal, motor and visual networks. The salience network, which was the most heavily hyperconnected in autism, integrates information about outside stimuli with information about internal states, allowing the brain to decide which external stimuli to pay attention to. Menon’s team suggests that the hyperconnected salience network may contribute to decreased interest in social interactions among children with autism." What do you think? Will we eventually find a connection between Autism, ADHD, Fibromyalgia, and other auto-immune disorders?